Thanks so much to all the helpers who are assisting with moving the Wicked screens tomorrow. Parents are welcome to ride the bus, but those who wish to follow behind us (or have to do so) need to park in the spectator lot and then meet us immediately at the buses so you can get stamped and be admitted to the "pit crew". If you don't meet us right after we arrive you can still help but may have to pay admission to the contest after you are done helping. 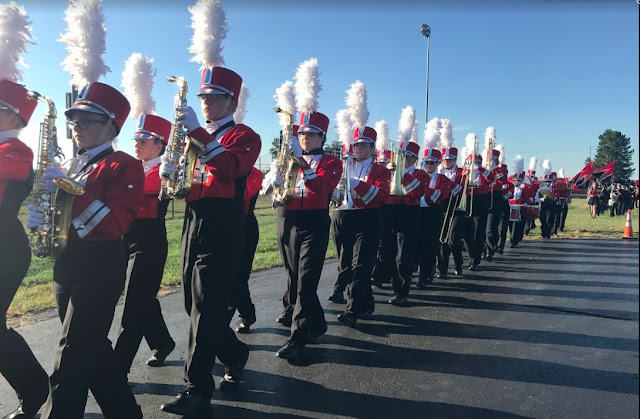 I'm looking forward to our final contest of the season and together we can make it the best FMB performance this year!